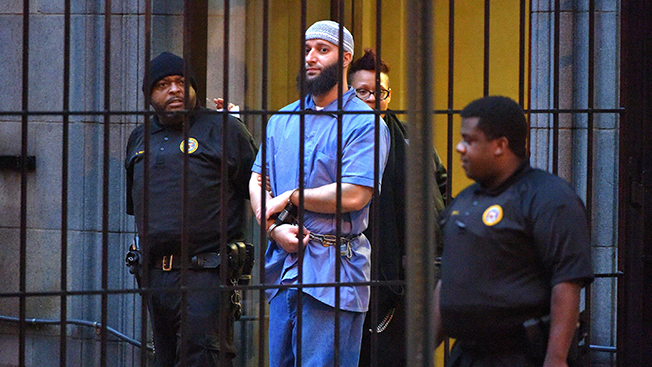 In the midst of a lackluster sophomore season, Serial is diving back into the case that made the podcast a breakthrough hit last year. Host Sarah Koenig is putting the second season on hold for a few days while she covers the subject of Season 1: Adnan Syed and his attempt to get a new trial for the 1999 murder of Hae Min Lee. On Wednesday, Syed made his first appearance in court in 16 years, at the first day of a three-day hearing. Koenig released a 15-minute episode this morning based on Wednesday's court developments, and will do so for the next two days as well. The episodes, which are still sponsored by MailChimp, feature Koenig and Serial producer Dana Chivvis discussing new evidence presented in court. That evidence is largely the testimony of Asia McClain, who played a key role in the podcast as a potential alibi for Syed. For a quick refresher: McClain said she saw Syed at the Woodlawn High School library during the time prosecutors said he killed Lee. McClain said Syed's defense attorneys never asked about her account, and a prosecutor later dismissed the potential alibi as irrelevant. Syed was convicted and sentenced to life in prison for the kidnapping and strangulation of 18-year-old Lee, his former girlfriend. He was convicted largely on the testimony of Jay Wilds, who said he helped Syed bury Lee's body. But the success of Serial brought national attention to the case, helping Syed get this hearing. McClain, who was present at the hearing, has said the popularity of the podcast is what drove her to speak up. Syed's attorneys also argued Syed's trial attorney, Cristina Gutierrez, who died in 2004, was unfit to defend him. During its debut run, Serial was downloaded more than 100 million times on iTunes, averaging around 8.3 million listeners per episode.